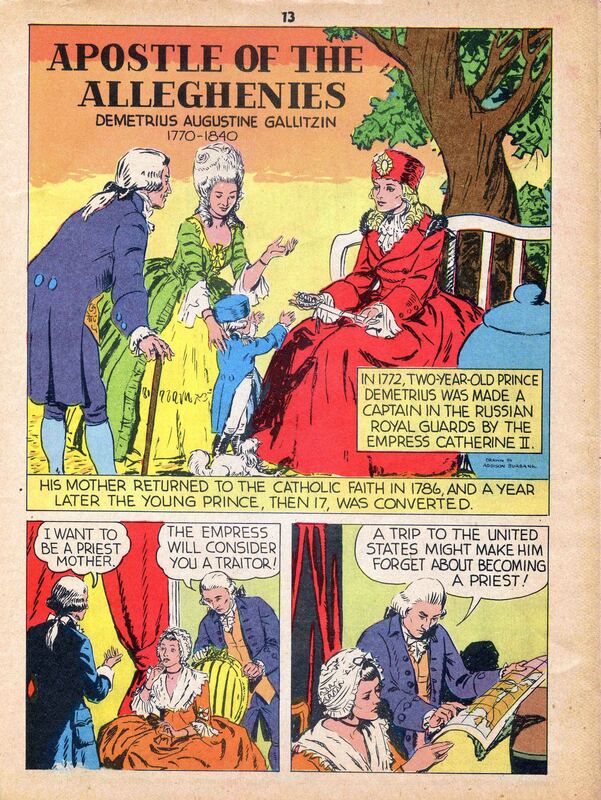 Click here to see this 1945 comic book version of Servant of God Gallitzin's life. Demetrius Augustine Gallitzin was born of a Russian prince of Lithuanuan roots and a German countess in the Hauge, Netherlands on December 22, 1770. He left his claim to nobility and came to America in 1792. Wishing to serve God as a priest, he became a student at Saint Mary's Seminary in Baltimore. 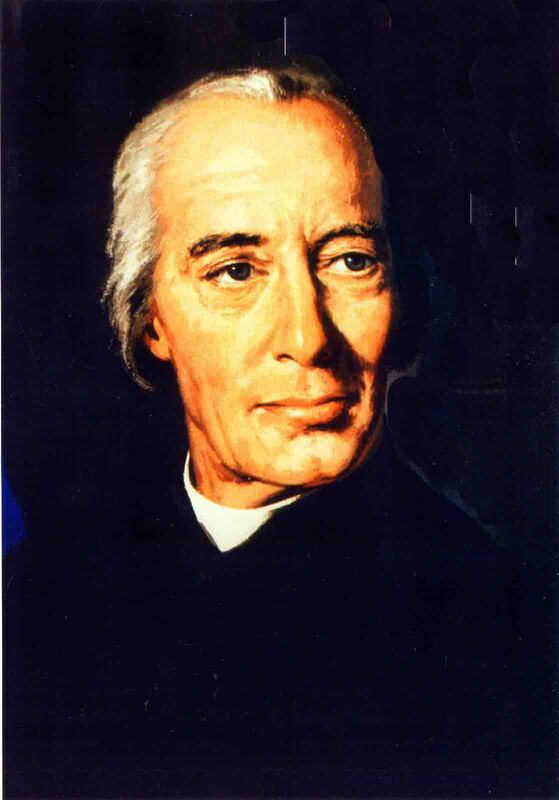 On March 18, 1795, Bishop John Carroll ordained Father Gallitzin, the first priest to receive all his orders in preparation for priesthood in the United States of America. He initially arrived in the mountains of west central Pennsylvania on a sick call to the McGuire Settlement. He persistently sought his bishop's permission to serve as this community's pastor. On March 1, 1799, Bishop Carroll assigned Father Gallitzin as resident pastor of the settlement in the mountains. 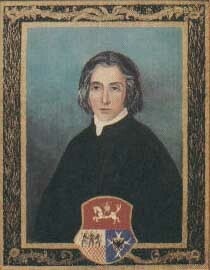 The pioneer priest later renamed the place Loretto after the Marian shrine in Italy.